Just thought I'd start this as I've seen it on a couple of other forums and seems to be a popular/good idea. If I've been a bit stupid and there is already a thread like this, feel free to delete. Today I moved the Horn and fitted my bar end mirror. I'm currently fabricating some blanking bolts/covers to go in the location of the stock mirrors. Didn't want to see empty threaded holes on the controls. I'll post some photos tonight when they have been painted and installed. Last edited by Remould; 10-04-2013 at 11:50 AM. Dusted off the front fender. I am waiting for parts to arrive. 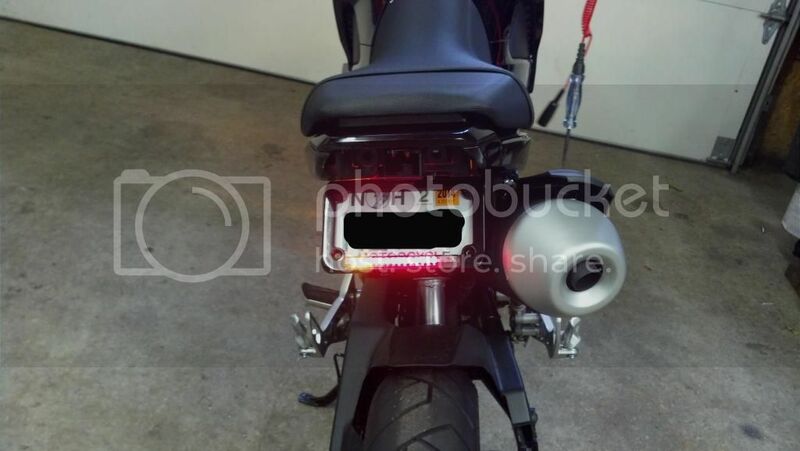 I installed this license plate frame that has a LED brake light and turn signals built in. I smashed out my stock tail light so this is my replacement. Nice. I was thinking about using a similar frame for mine. 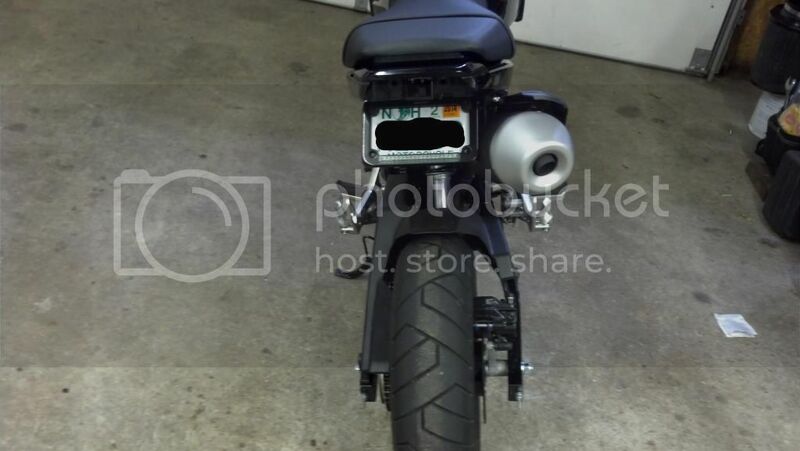 Just ordered a Yoshi fender eliminator. Now I wait. MV Agusta F3 800 likes this. I washed and waxed her. Really surprised how much better the paint looks now vs when it was new with the Mothers FX Synwax I used. Nice product for black groms! Looked at it in passing as I worked all day creating more Grom graphics kits for you people..
rkwfxd, GoldPlug, Notvindiesel and 2 others like this.